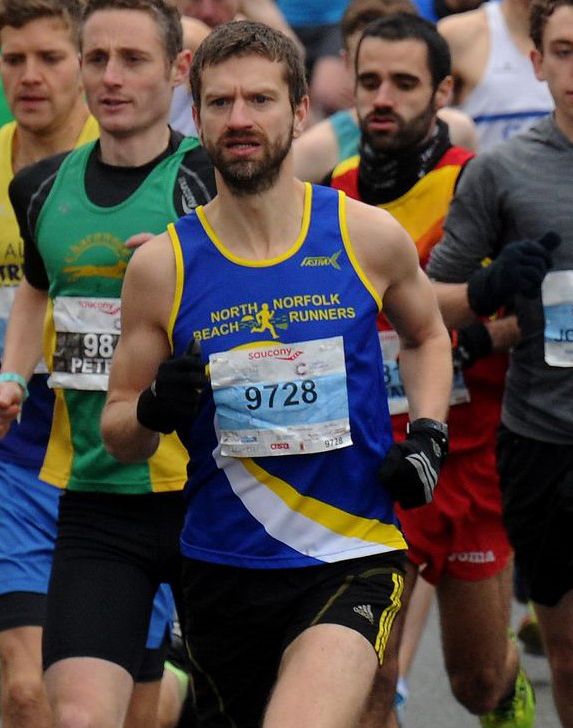 With the conditions last week looking more favourable for cross-country skiing, many races across the country were cancelled, including the Broadland Half Marathon which many North Norfolk Beach Runners had entered. But two Beach Runners, Chris Merrylees and Nicholas Dash, headed out of the snow country to the Cambridge Half Marathon where conditions were near perfect. The race starts and finishes in Cambridge City centre but takes in some rural hinterland with good crowds all the way. Chris Merryless, now building up to the Brighton marathon, is coached by Kevin Parfitt who told him to “give it a go and see what happens”, and what happened was a time of 1.16.27 and 35th place out of 7026 starters. He was “pleased with that” and so he should be. Nicholas Dash ran an excellent 1:41:28 to finish 1383th, showing real potential to be much quicker in the future.